Paul Allen Finds Windows 8 "Promising" and "Puzzling"
In just over three weeks from now, Windows 8 will launch to the public, and thus will begin the court of public opinion. Until then, there are plenty of reviews to digest (including our very own), and one of the newest is from Paul Allen, co-founder of Microsoft who, like Bill Gates, is no longer directly involved with the Redmond company. Still, it’s interesting to read what he has to say about Windows 8, considering all that’s at stake. Summed up in the last paragraph, Allen says, “Touch seems a natural progression in the evolution of operating systems, and I’m confident that Windows 8 offers the best of legacy Windows features with an eye toward a very promising future.” The keyword there is promising, though he also tossed around a few other adjectives before coming to that conclusion. 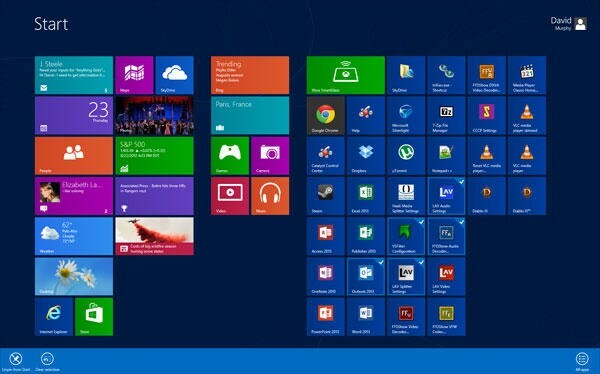 Like “puzzling,” as in, “I did encounter some puzzling aspects of Windows 8.” Allen said the bimodal experience of catering to both tablets and PCs can introduce confusion in certain situations, though he followed it up by saying that after a short period of time, most of the changes Microsoft made to Windows 8 start to become familiar. He also devoted an entire section to the “puzzling aspects of the Windows 8 UI,” which included things like having difficulties with multiple monitors, the silo effect between and Desktop and Windows 8 style, inadvertently switching modes, and a handful of other complaints. Overall it’s an interesting read that’s more favorable than critical of Windows 8, with a bunch of tips sprinkled throughout. Give it a once-over and tell us what you think in the comments section below!